This mani is the equivalent of the chicken or the egg - which came first, the idea for the mani, or the polish ? the polish. 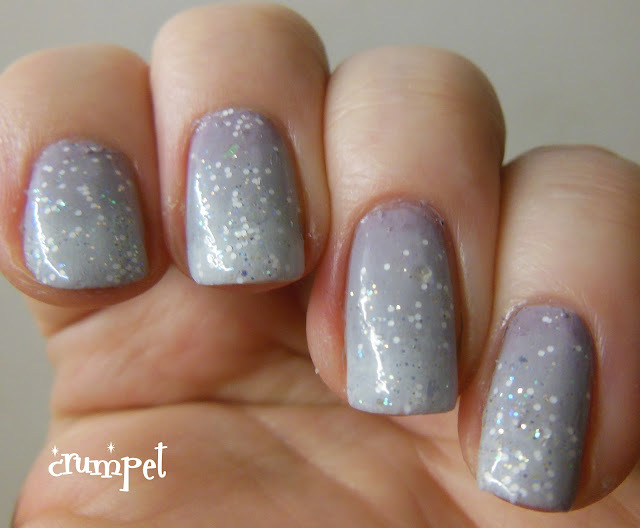 This mani was inspired by Diamonds and Pearls by The Polish Bar. I don't know if this is the same all over the world, but in the UK, the first hint we get that snow is on the way is that the sky takes on a lilac tinge. So this is a super soft lilac gradient, sweeping from soft lilac down to white. This was done as a standard gradient, with a little bit of extra retouching at the nail edge to give the white more depth. The snow comes courtesy of Diamonds and Pearls - doesn't it look PERFECT ? 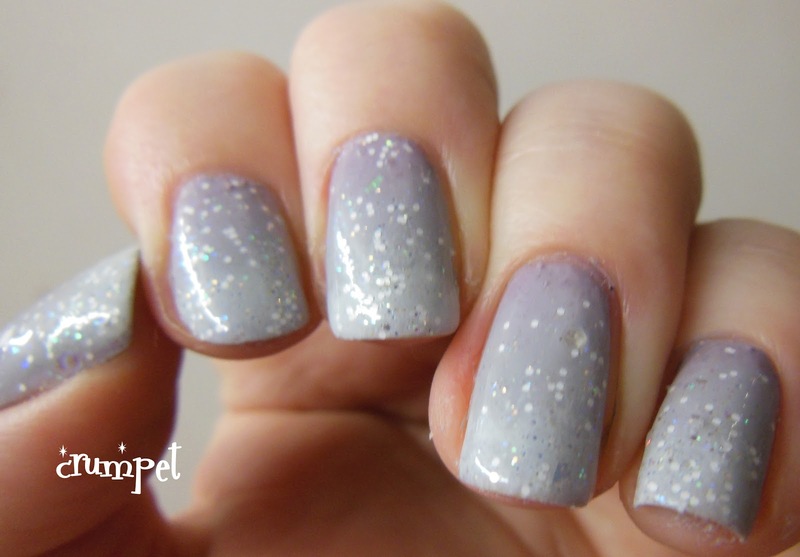 I love how the teeny holo glitter catches the light and sparkles how real snow does. I think this is the gradient I am most proud of EVER. I really did sit and keep staring at it. The tragedy is that it made a perfect base for nail art, and yet I coudn't bear to cover it up ! Eventually, I did stamp on it, and that might be my Day 5 mani.